I bought this about 2 months ago and did a complete review and swatch post here. 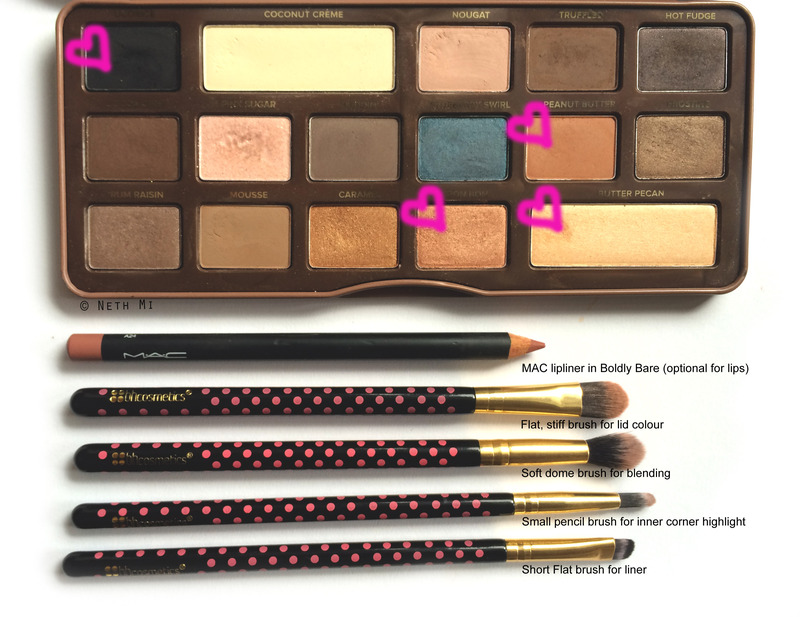 I love this palette to bits and pieces because it’s so versatile and easy to work around! It IS a little overhyped too… but I want to show you its versatility here, plus it’s fun for me to play with my makeup for blog posts!!! Step Two: Take a soft dome brush like the one in the picture and pick Peanut Butter to apply right on the crease. Do a few swipes back and forth till you see some colour building up. Step Three is to: Take a flat synthetic brush (or use your finger) to apply Bon Bon all over the lid up to the crease. 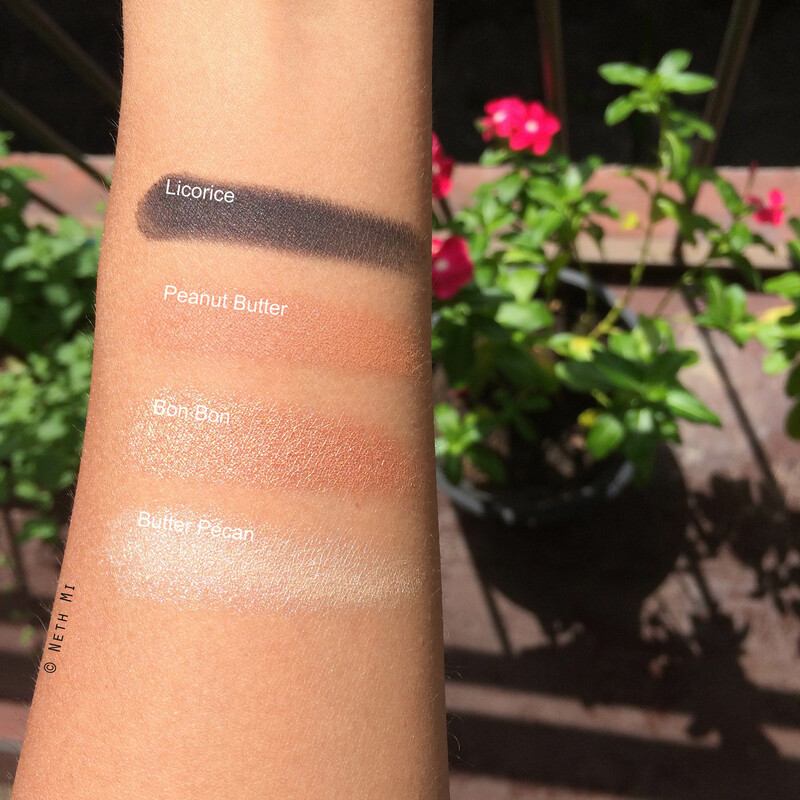 Bon Bon is a beautiful buttery shimmer shade that lightens up your eyes instantly. Fourth Step: Highlight the brow bone and the inner corners of your eyes with Butter Pecan, the shimmery highlighter shade on the palette. To highlight inner corners, you can use a small pencil brush like shown in the picture. Last step: Take a short and flat stiff brush (like the one I use from BH cosmetics) and load up Licorice. 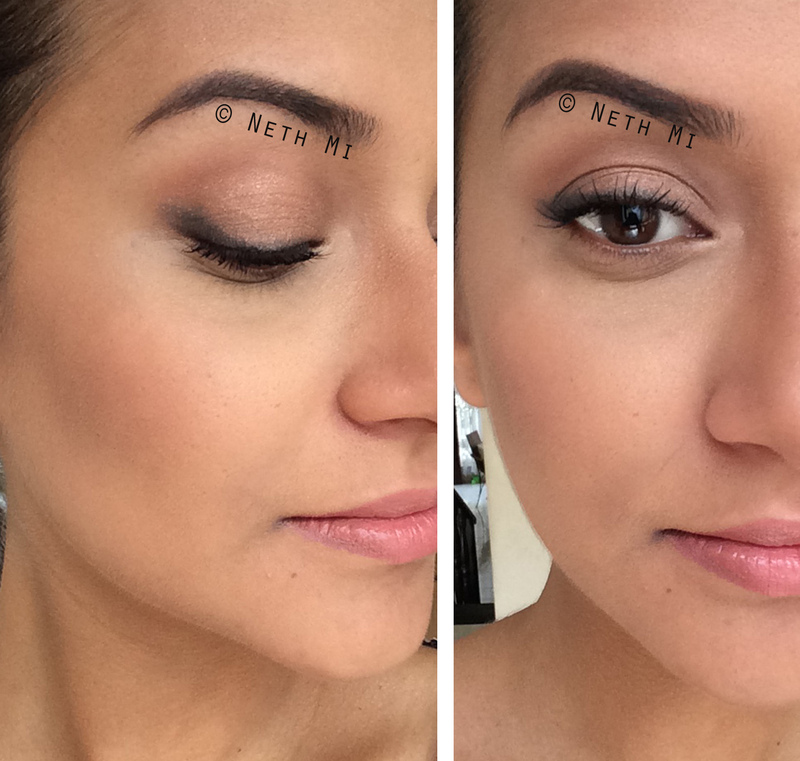 Apply this as close as possible to your lash line instead of gel or liquid liner. Go back to the soft dome brush and blend it smoothly so that it gives a very soft-focused smokey eye. great post! I liked your pictures with tips to achieve the look.